Can You Handle the Emotional Challenges of Extended RV Travel? Full-time and extended RV travel ALWAYS involves unique emotional challenges! Are you (and your travel partner) up to them? Most can certainly be overcome but, if you're contemplating an RV lifestyle, you should know what to expect - It will not be all fun and games! By knowing what to anticipate and how others have dealt with similar situations, at least you might recognize your concerns and fears as normal. I thought I was prepared for this adjustment. For me it is more about the isolation of not having family and friends around for months on end. Since we are usually on the move whether every few days or a week at a time, we are not able to get involved in activities that may be available at some of the parks. This also eliminates developing any kind of friendships with others. More information and books are now available for retirees to read about changes that come when couples retire and how it can impact their daily routines together. However, the information is geared towards staying in either your home or same city. Usually there is still some support system or family already in place. The adjustment becomes more about redefining many of the roles and purposes of one's life from a family and career focus to new found purposes and choices. Janet's letter brings to light what, I'm sure, is a common problem not many RVers talk about openly - even amongst each other. 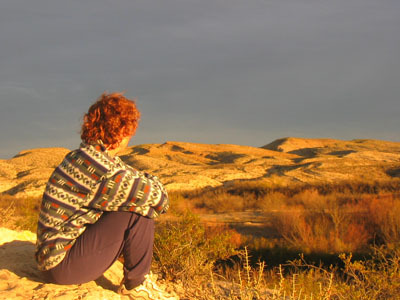 While there are special blogs, web sites, clubs, and forums dedicated to solo RVing, travel with children, full-timing, boondocking, working on the road, and many unique RV travel situations, I agree that there is very little available about coping with the hardships that extended RV travel puts on individuals and on relationships. With this page, I hope to begin a dialogue about these unique emotional challenges. It's my hope that it will include input from other RVers who feel the same way. At the bottom of this page, I invite you to send in your own thoughts and experiences. Why Does an RV Lifestyle have Unique Emotional Challenges? A different bed, strange location, and foreign noises - may affect sleep patterns. Anxiety, worry, fears about potential situations or problems. Missing friends and family. If traveling with a partner, one person may feel this more and need more frequent contact than the other. Missing special events and occasions with family and friends. For couples - being together 24/7 and sharing tight quarters are definite emotional challenges. Decisions: Travel route, budget, campgrounds, which attractions to visit, schedules, campground reservations, whether to stay put or move on. Inclement weather - The most beautiful location can be ruined by several rainy, cold days in a row. New problems you aren't used to dealing with – especially a major one such as a vehicle accident or breakdown. Even minor problems like getting lost despite the navigator's best efforts can cause tensions to soar. Encounters with new people. Because you both miss family and friends, you may be drawn to connect with new people but disagree about who and how much contact you want. For insecure partners, jealousy could also be a factor. Boredom - yes even new scenery and activities every day can become boring if you don't take a break from time to time. Sensory overload – trying to see and do too much. Personality faults - everything that we consider a character fault in our travel partner is magnified as we spend more time exposed to it. Running away - it may have been one of the initial appeals of this lifestyle, but what were you running from? Yourself? Your partner? Emotional challenges occur when you realize you haven’t escaped afterall. Disappointment- are you ready to admit that the dream, the lifestyle may not be all you expected or had hoped for? Disorientation - you gave up your job, your home, your friends, your family, your community - all the things that defined who you are. So, who are you now? Despair - there will probably be at least one moment when you 'll wonder, "What am I doing here and why did I EVER think this was a good idea? " Please write in (using the form at the bottom of the page) to add your own ideas about emotional challenges that are unique to the traveling lifestyle. RVers who simply move from a winter home in the north to a southern home in an RV park are simply moving from one home to another. While friends and family will be missed, new friendships and communities will gradually take root in the RV park. And those using their RV for a two or three-week long vacation, before returning to thier "normal" life are also not likely to experience the special emotional challenges mentioned above. The intent of this page is to address the unique relationship demands of life "on the move." Here I hope to share what I see as some of the unique emotional challenges faced by those living the nomadic life. Randy and I get along with each other fine – most of the time but RVing has a way of testing us. Of all our arguments, some of the most memorable occurred on our extended RV trips and, yes, there were some doozies. Later, we seldom recall what we were fighting about but we always remember exactly where we were at the time. When people ask how we can possibly live in such a small space, twenty-four-seven for months at a time, our pat answer is, “We don’t live in our RV, we only sleep, wash up, and cook meals in it but you should see the size of our living and dining rooms!” The truth is, getting along, while spending that much time together isn't always easy and the one thing most outsiders cannot even imagine. You should see the size of our living and dining room! It's rare to find a couple where one half isn't more keen on the idea of long-term travel than the other. But no surprise there! It seems to me that, often, the longer a couple is together, the less stuff they actually agree on. We've all met the Bickersons - openly at odds. If one says black the other insists on white. And I'm sure you'll also recognize the Timebombs - without confronting each other, each partner builds a big pile of resentment inside until one day - kaboom! Of course, emotional challenges as they relate to couple issues aren't unique to RV living. While it's true that a new adventurous lifestyle can rekindle the flames and bond couples closer together, any marriage that's already on the rocks is not likely to survive in the close quarters of RV living. For the last eleven years, we've traveled on extended trips together, between five and twelve months at a time, in a nineteen-foot Roadtrek camper van. Through trial and error, we've learned a few tricks - or as we call it, "emotional protection" - to preserve our personal space and emotional well-being. Schedule separate time – a day when you go different directions. Acknowledge that one partner may need more time apart than the other. Take turns – avoid bumping into each other. Getting dressed, preparing meals and various tasks are best done, one person at a time. Quiet time – don't wait until you're angry to not speak to each other. Set aside an hour a day and remember, it's sacred - not one word. Use headphones for radio, television, and computer unless you're both sharing the experience. It's a balancing act – do many activities together but some things apart. Separate bed times - allowing for more quiet alone time. Keep a personal journal or diary - record all your emotional challenges and feelings. This is for your eyes only - separate from your trip diary. Shake it up - plan date nights. Splurge occasionally on dining out, dancing, or a concert, a weekend at a more expensive RV resort, or even a hotel room for a change of scene. Choose a best friend - a confidante to write letters to, sharing all your emotional challenges, feelings, and emotions. Find an additional purpose for your trip. Perhaps resolve to read your way through all "the classics," write a blog or, like me, create a website about your style of travel. Become a transient volunteer. Join Habitat for Humanity builds, offer to read to seniors in a nursing home, or sort food at a food bank. Like the Lone Ranger, you can ride into town and out again, leaving only good deeds in your wake. Make plans. Even if you prefer to blow with the wind, make sure you always have a new destination to look forward to. Spiritual time – perform rituals, watch a sunset, lie under a starry sky, and create opportunities for peaceful, reflective moments. Take a day off from the trip – a vacation from the vacation. When in a nice setting, we like to stay put, not going anywhere - in effect, just "staying home" for the day. Separate hobbies - Randy keeps himself entertained while I write. 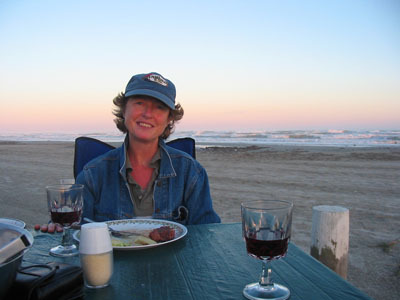 Whether traveling alone, as a couple, or with children, most seasoned RVers will agree that this lifestyle is not for the fainthearted or those easily discouraged. While there seems to be plenty of practical and technical RVing advice available, not much has been written about the emotional challenges - aspects which, left unaddressed, might be one of the biggest factors in determining whether you’ll be able to handle (and enjoy) this way of life. Knowing what to expect and having some idea of how to ease or avoid situations and deal with your feelings, could alleviate some common fears. Being removed from loved ones for long periods is difficult to imagine. But with email, social media, and reasonable long-distance rates, being far away doesn’t mean you have to be out-of-touch. With a computer on board, you have an even better option: voice and video calls over the Internet. Now that we have a grandchild, we bought a good web-cam and earphones for our laptop (both inexpensive). Using Skype (one of several free downloadable programs) we have unlimited free video calling to anywhere in the world. All we need is a wi-fi Internet connection. I just love seeing my one-year-old grandson’s face light up when he recognizes his “Oma” on the computer screen. Another good fix for the “Missing Your Loved Ones Blues” is inviting them to join you for a week in a sunny, fun location. Many full-timers report that, although they don’t see family as often, their visits are now longer and more memorable. Living in your RV, it’s usually not a big deal to visit family, parking either at thier homes or a nearby RV park, and stay for days or weeks at a time because you maintain your own separate space, are self-sufficient, and not under-foot the same way. You will be missing a lot of birthdays and regular family get-togethers. We don't consider this to be one of the major emotional challenges because these events roll around annually and there will likely be future opportunities to attend. We do try very hard to plan our travels to be back for bigger one-time events such as a family wedding or the birth of a grandchild. Luckily, these events are scheduled well in advance, making our lives easier. Sickness or a death in the family cannot be planned for and could interrupt any trip, even a one-week vacation, so there's no sense letting fears of missing them keep us home. For some, this emotional challenge is almost as stressful as selling everything and going full time. You’ll learn to relax as time goes by but, to minimize those worries, especially on your first trip, consider arranging for a house sitter or, at least, have someone check on the house and report to you regularly. Full timers, of course, have the biggest emotional challenges with huge adjustments to make, often leaving behind a home, job, community, family, and friends, all at once. Such a large transition needs to be made with eyes wide open. Even then, you can eliminate some of the fear by committing to it in stages. You might ask for a sabbatical from your job rather than quit or retire. Some choose to rent out their house and keep their “stuff” in storage for at least the first year. Having this “insurance policy” and permission to change your mind and go back to your old life can make it less scary. A big challenge of the transient lifestyle is having to make new friends constantly. And, just when you’ve established a good bond, it’s time for one of you to move on. It’s like changing schools as a kid, leaving all your friends behind, every few weeks. On the positive side, you'll have more time for new relationships and are sure to meet more interesting people from all walks of life. 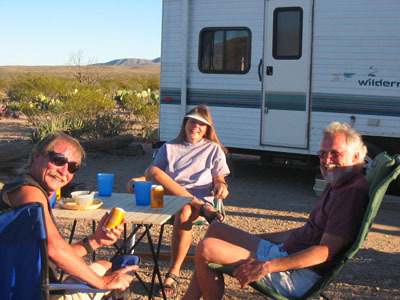 RVers are a very friendly breed and will welcome you at happy hour or around the campfire; no matter what size rig you drive. Every RVer is in the same boat and looking for some company along the way so it’s never difficult to befriend fellow travelers. Expect lots of one-night-stands, however, and, although you’ve exchanged phone numbers and addresses, don’t be offended if you lose contact – we all meet so many people, we can’t stay in touch with them all. Even if you never correspond but run into each other again years later, you’ll probably be greeted like a long lost best friend – it’s just the RVers’ way. Another thing to consider: once you feel comfortable with your new friendship, who better to discuss the special emotional challenges of your lifestyle with, than someone following a similar path? To meet new people with common interests that you can connect with for longer, consider making friends on-line. Join forums to discuss almost any topic dear to your heart. Those who post regularly soon get to know each other and carry on a very real, albeit “cyber” relationship. We've made some terrific and lasting friendships on the road. 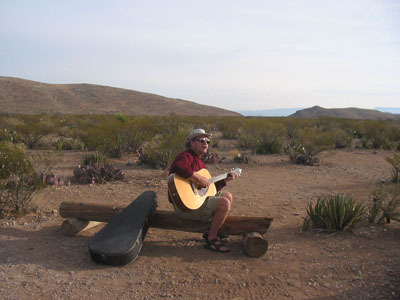 Solo RVers might anticipate lonelinessas one of thier biggest emotional challenges but, while I travelled without Randy recently, I found I actually met more new people than when we travel together and have each other for company. I'm not blaming Randy, in fact quite the opposite. He's the one with the outgoing personality. I tend to be more reclusive and get lazy about making new friends when he's around. As a single traveler, I tried to start conversations wherever I went. Even the simplest comment or question often led to an interesting conversation. If you're hoping to meet a potential travel partner, don't be afraid to introduce yourself to couples - every couple is bound to have some single friends and most, given the chance, would love to introduce you to each other. How can you be bored when every day is a new adventure? To keep things interesting, we try to change the pace. Hiking every day, even through spectacular scenery, can become tiring. After a month in the desert we long for some trees. After weeks in nature we need to hang out in a city or town before we can see and appreciate things through new eyes again. Luckily, when you live on wheels, it’s pretty easy to move on down the road just a few hundred miles to experience a totally different landscape. For RVing “newbies,” my best advice is to test the waters slowly – take several shorter trips before committing to long-term travel. Having said that, when Randy and I started RVing, we dove in virtually no knowledge, no plan, and no "emotional protection". We bought our first RV and, after only two short two-week vacations, quit jobs, packed everything into storage, and headed bravely and blindly out for a full year on the road. Not only were we inexperienced and naieve, but we had not even lived together until that trip. We certainly faced our share of relationship and emotional challenges and it's a wonder we made it past the first two months on the road. Then again, maybe, it provided us with the ultimate relationship test. If we could make it through the emotional challenges of twelve consecutive months on the road, we might just be able to make it through almost anything. So far, (now over tenyears later) it has proved true. Please share your own experiences and emotional challenges here. You don't need to reveal your real name or identity to contribute. You can read contributions from other RVers below. Have Something to Contribute to This Topic? This is the place to share your experience and stories about emotional challenges you've faced or witnessed while living on the road. It's also the place to ask questions and seek support and advice from others. These issues can be sensitive - if you prefer, use a nickname. Newbie here. Every trip one step forward.. 2 back! How do I get ahead of the intellectual and emotional learning curve? He Works, I Don't. Now What? 2012--The Year for New Adventures and Change. Very Happy You've Begun this Conversation!